The North Texas prairie is home to some of the most beautiful sunsets in the state. 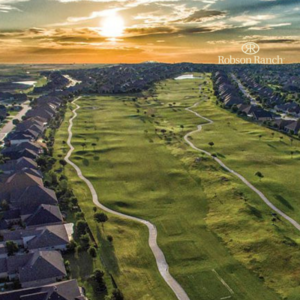 Robson Ranch in Denton is situated to take advantage of the spectacular area, and it only takes a stroll through the neighborhoods or a round of golf to experience the wide open spaces that Texas is famous for. Besides being known for the University of North Texas, Denton boasts its original Town Square, complete with a courthouse and shops and restaurants you can stroll through. If you love a “hometown” feel, you will go crazy for life in Denton, particularly at Robson Ranch. Robson Ranch in Denton is an expansive Active Adult 55+ community with distinctive homes, stellar amenities, and friendly residents. Oh…and a golf course!! 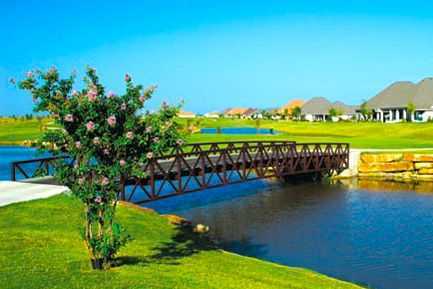 The greens at the Wildhorse Golf Club will enchant you from the start! If you’re ready to visit Robson Ranch and see what all the excitement is about, call us at 972-588-8905 and we’ll give you the grand tour! If you have a home you’d like to sell, you should contact us to find out what your home is worth. The free assessment is our way of making your real estate journey as smooth as possible. Click HERE for yours!